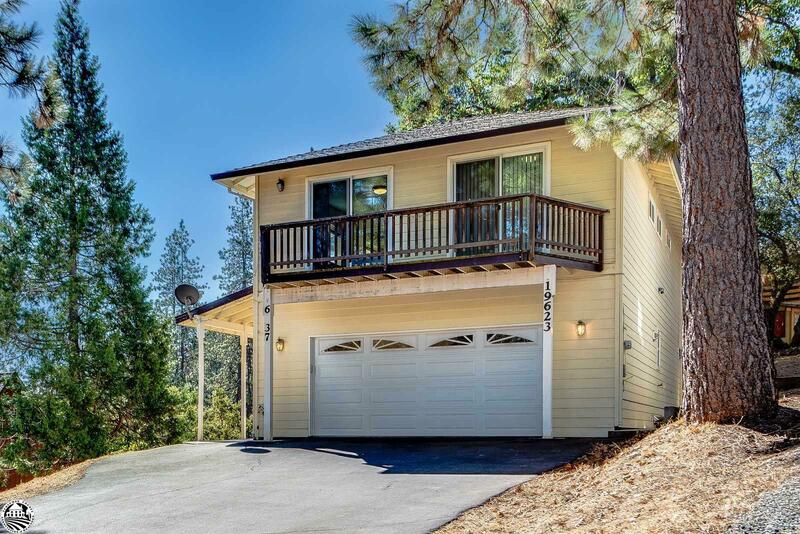 Spacious 3 bedroom 2 1/2 bath 1680 sf living space plus attached 2 car finished garage move in condition home built in 2004 in beautiful Pine Mountain Lake at a great price!! Unit 6 Lot 37 Pine Mtn Lake has a beautiful 18 hole championship golf course and country club, pool, lake with marina, tennis, pickleball, airport, horse stables and much more! Plus PML is just 35 miles from Yosemite National Park. Make this your affordable full-time or part-time home perhaps a vacation rental. Large great room concept with half bath on entry level, lots of easy parking on long paved driveway. Covered front walkway access from garage to front door. Slate tile entry, gas fireplace, large breakfast bar/counter open kitchen/Living Rm/Dining. Upper level has 3 Spacious bedrooms (one is master) & family room/den, brand new carpeting and each bedroom has a balcony. Must see and don&apos;t miss out!